Indiana is the #18 largest school system in the United States, serving 1,044,785 students across the top 1,915 public schools for the 2018-19 school year. 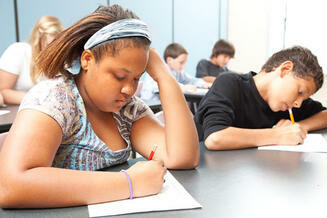 Indiana public schools have a diversity score of 0.28, which is lower than the national average of 0.32. The most diverse school district in Indiana is Christel House Dors South School District. Read more about public school diversity statistics in Indiana or national school diversity statistics. There are 97 Blue Ribbon Schools, 30 magnet schools, 89 charter schools and 22 special education schools. 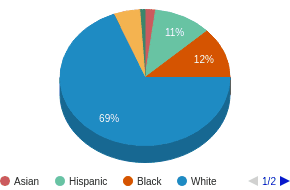 Minority enrollment is 31% (majority Black and Hispanic) and the student:teacher ratio is 18:1. Popular cities: Indianapolis (243 schools), Fort Wayne (75 schools), South Bend (42 schools), Evansville (39 schools), Elkhart (31 schools).